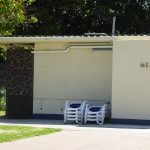 This 1950s outdoor swimming pool in the beautiful Queens Park near Moonee Ponds was built in that wave of post-Olympics enthusiasm for swimming in Australia. Don’t miss the vintage turnstiles. 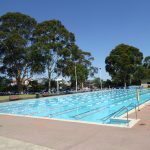 There are a few reasons why I was keen to include Essendon Outdoor Pool in this Vintage Victoria blog. The Melbourne Olympics in 1956 saw a spike in interest in swimming, after Australia did so well in the pool that year. 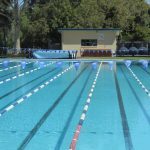 A lot of Olympic pools were built in the wake of that massive event for the city, and ‘Essendon Swimming Pool’ was one of them, although it is actually nearer Moonee Ponds, and is officially called Queens Park Pool these days. 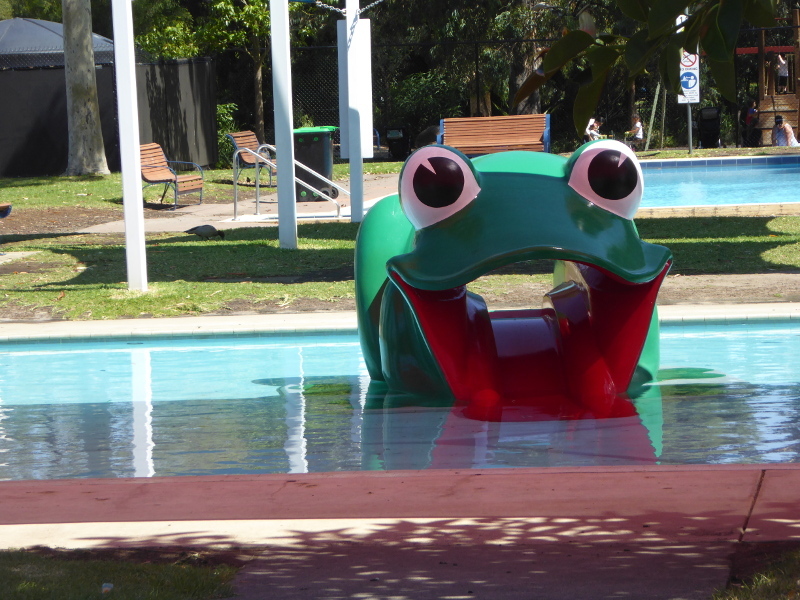 I also wanted to come to this 1950s vintage pool because it is only thanks to local campaigners that we still have the place – more on that below. But I’m also a big fan of Queens Park itself, and love the effort they have made to mark this significant spot in Australian history – but again, more on that below. 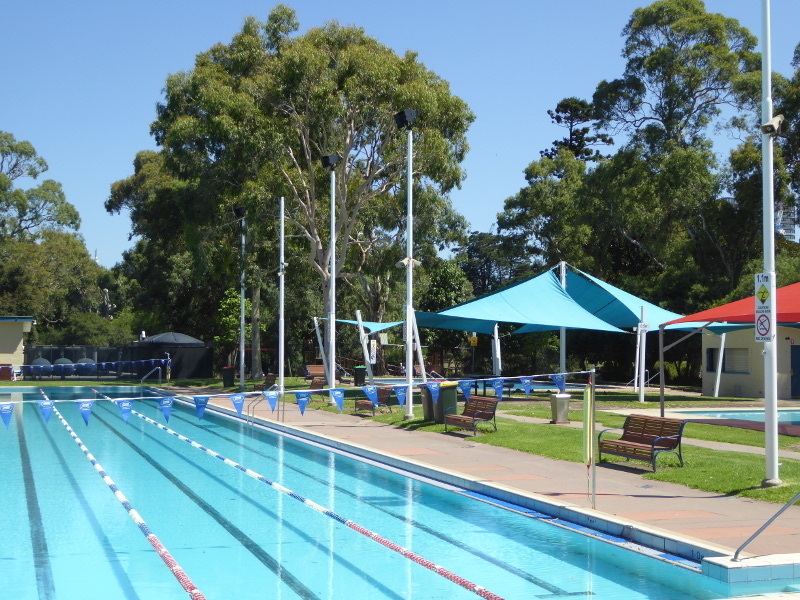 The pool is one of those classic Australian beauties, surrounded by tall gum trees which make the views so uplifting as you do a lap of backstroke. And it sits on the edge of the beautiful Queens Park in Moonee Ponds, which is a delight to walk around with its botanical gardens feel and bird life on the pond in the park. 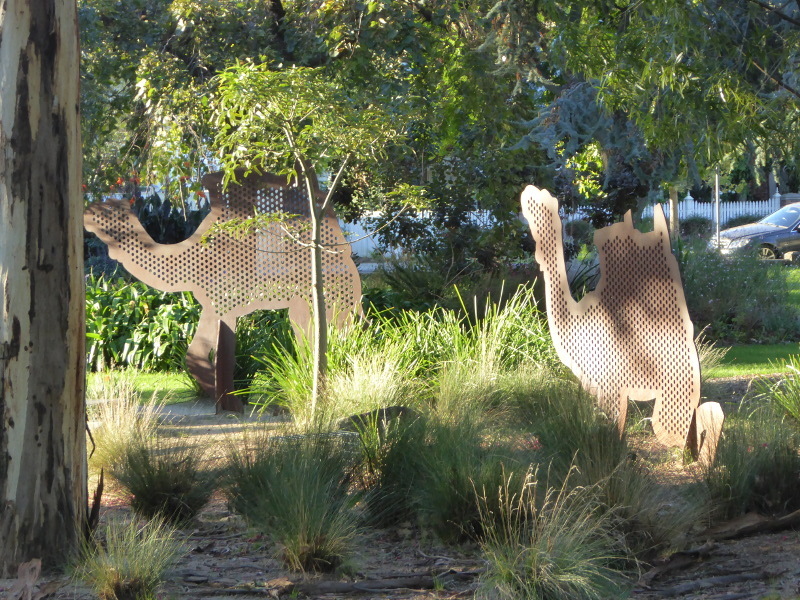 In one corner of Queens Park are metallic sculptures of camels and tents with an information board on the intrepid explorers Burke and Wills. You see, this may be only a few kilometres from the dead centre of Melbourne but Burke & Wills camped out here on the first night of their fateful trek through to the red centre of Australia. Such were the crowds seeing them off in Melbourne that they only got the 9kms or so to Moonee Ponds on their first day, and right in the middle of the main road here on the grassy central reservation is exactly where the Burke & Wills caravan camped up for the night. It’s only a stone’s throw from the pool so with my love of picturing people who have walked (or camped) on the same spot as me, I had to go and take a look after my swim. 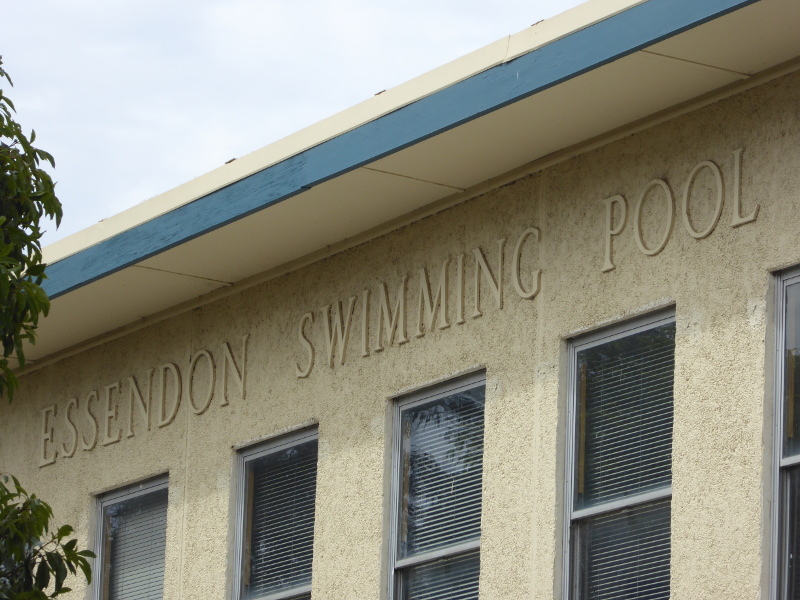 Essendon pool – as it was once called – was actually built in 1958, almost 100 years after Burke & Wills stopped here. So there was probably not a lot of water for them here even then! This is an Olympic size pool, built in the wake of the Melbourne Olympics, which really put the city on the world map, and started Australia’s love affair with swimming. The pool floor dips away for the last ten metres to allow for diving, when diving boards were a thing in every pool round these parts, and I love the fact that the original diving board was imported direct from England, at a time when I guess such things were regarded as more state-of-the-art over there! I’ve read some reviews complaining the pool is full of bits and pieces, but from my swims in the water here, I would say they are almost certainly just leaves and twigs off those gum trees that tower over the pool. The water was a bit chilly, though, on one of my visits – great once you get going, but a bit of a shock to my system at first. 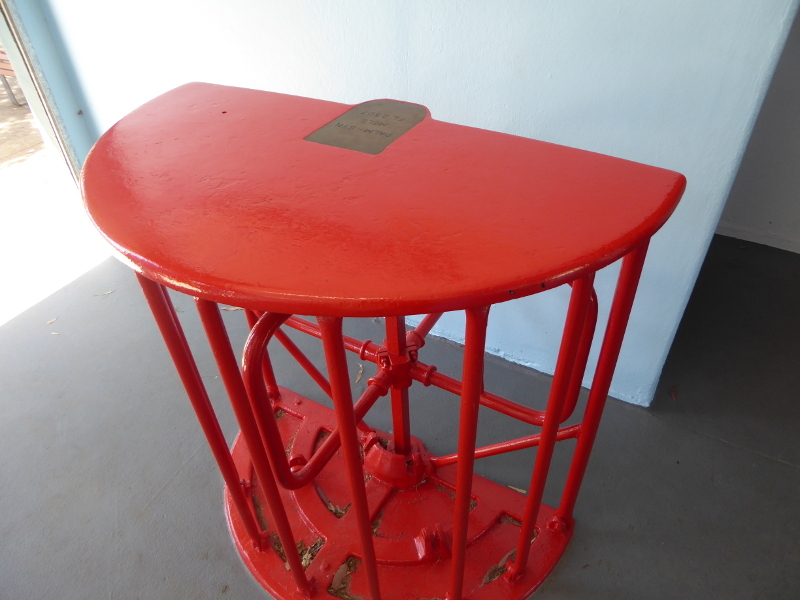 Oh and don’t miss the vintage red turnstiles – manufactured also in England, though I forgot to note the company which made them – can anyone help? They aren’t in use here anymore but they have conserved them and they make a nice vintage touch to a lovely vintage pool. Long may it serve the Essendon and Moonee Ponds communities. 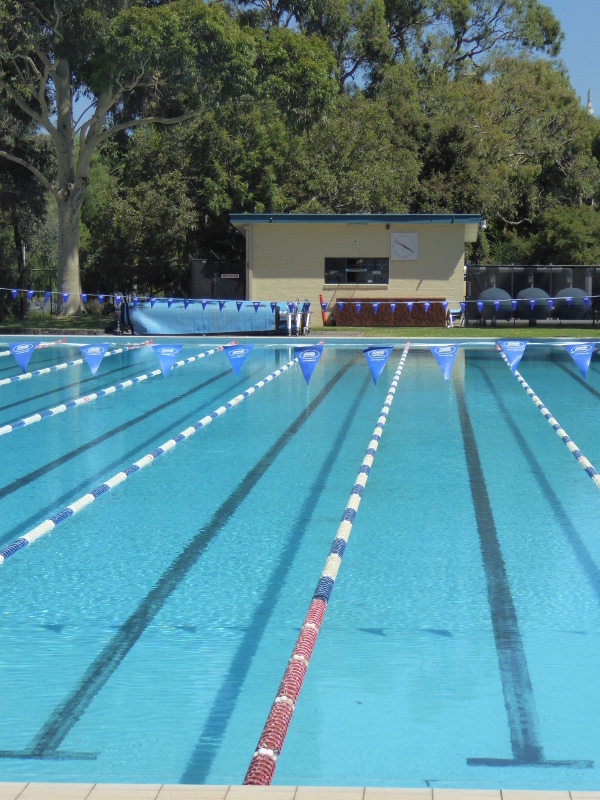 Pool closed from late March until November, so very limited swimming season compared to what I got used to in NSW. Parking is available near the pool on the edge of the park and some spots are not time-limited. But public transport is possibly the best option to get to Essendon Pool: that 59 tram route heading out towards the Airport West area runs right past the pool. 50m Olympic pool plus smaller pools for kids and toddlers. Essendon Swimming Pool opened in November 1958, and it had 120 parking spots for bicycles – an indication of how people got around in those days. The original diving board was actually imported from England – I wonder which factory in the UK made that kind of thing and why it couldn’t be made closer to Moonee Ponds? Of course there is no longer a diving board. But we have the local community to thank for us having the pool at all. In 1993 the local council voted to close the pool, and the bulldozers had moved into place in early 1994, when a community campaign became so vociferous that the Council stepped back and overturned its decision. Thanks to those locals in Essendon and Moonee Ponds. Anyone from those campaigners reading this? I’d love to hear from you, but anyway this swimmer is eternally grateful. 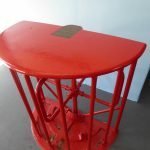 The red turnstiles were pictured in The Senior newspaper, when it covered my endeavours on this blog in its March 2019 edition! 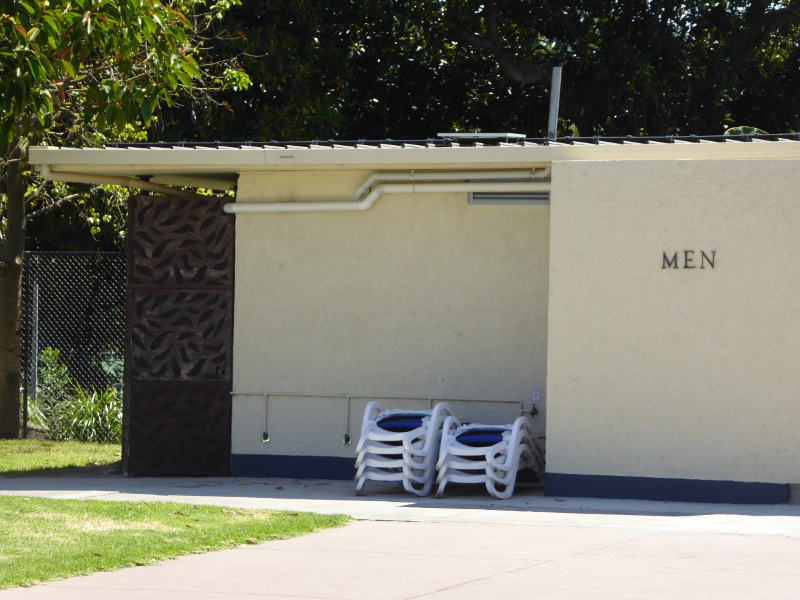 I didn’t discover stories of any Olympic swimmers coming out of Essendon Baths. If anyone knows of any, do let me know? 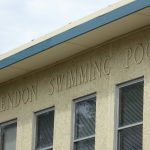 The real heroes here are those community members who campaigned to keep the pool open in the 1990s; they are probably typical anonymous residents who just wanted to keep their facility going. Again, I’d love to hear from anyone involved in that campaign. You never know, there could be lessons to learn from others campaigning today to keep their local pool. 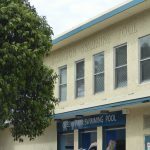 Moonee Valley libraries blog had this brief on the pool, which led me to delve a bit deeper via their local history section. 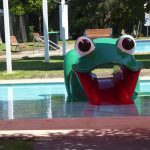 This is the local Council’s own video on the pool – there’s no vintage focus but it’s nice to see the place on film. The Mamma Knows North blogger likes this pool – and the park around it – as you can see from her entry. 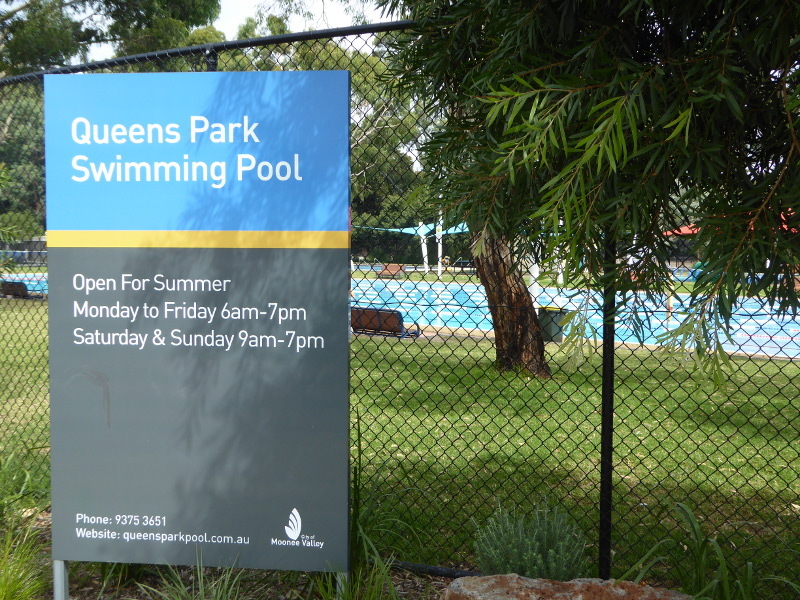 For Queens Park Pool’s own website click here. 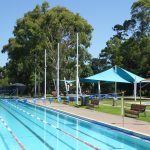 I rather liked this blog recounting the realities for one youngster of those primary school swim carnivals that are so much a part of Australian school life. 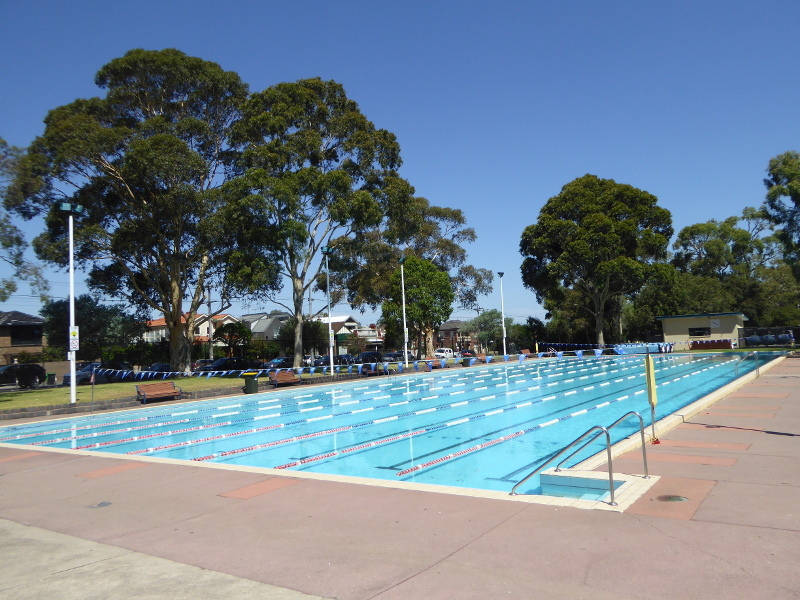 What are your memories and stories about swimming in Essendon Pool, Queens Park? Are you a regular swimmer there? Were you involved at all in the campaign to keep the pool open in the 1990s? Or know anyone who was? 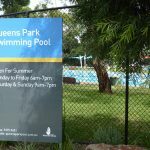 Does anyone know of any celebrity swimmers at Queens Park Pool? 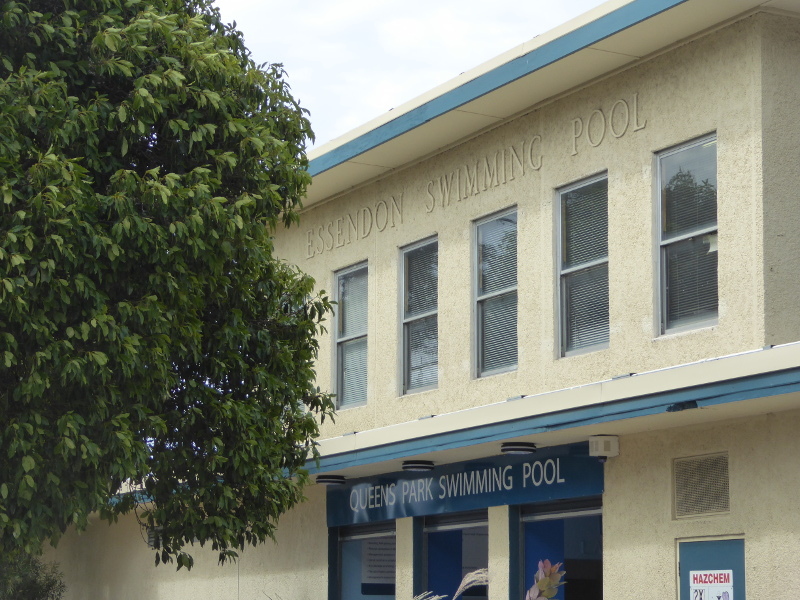 Or were there ever any Olympic competitors who grew up swimming in Essendon pool, maybe someone inspired by the 1956 Olympic swimming, and used the Essendon Pool when it opened in 1958? Or if you just have a good story to tell about your experience in the pool, let us know and get in touch. Best coffee in Moonee Ponds has to be Top Notch Coffee, about 10 minute walk back to the Moonee Ponds Junction. Fantastic choice of top quality coffees, with Proud Mary the feature roaster. Just overall good feel and smooth, smooth brew. If you fancy the other kind of brew, you’ll need a 15 minute walk in the other direction, up towards Essendon, where there is the wonderful Austen Tea Rooms. Superb loose leaf teas here and pretty nice scones for what Australians always seem to call ‘Devonshire Tea’ for some reason unbeknown to me. Relaxing spot away from the buzz of Essendon junction.